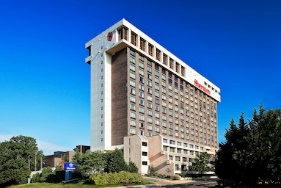 ISDC®2019 will be held at the Sheraton Pentagon City Hotel, located just across the Potomac River from downtown Washington in Arlington, Virginia. 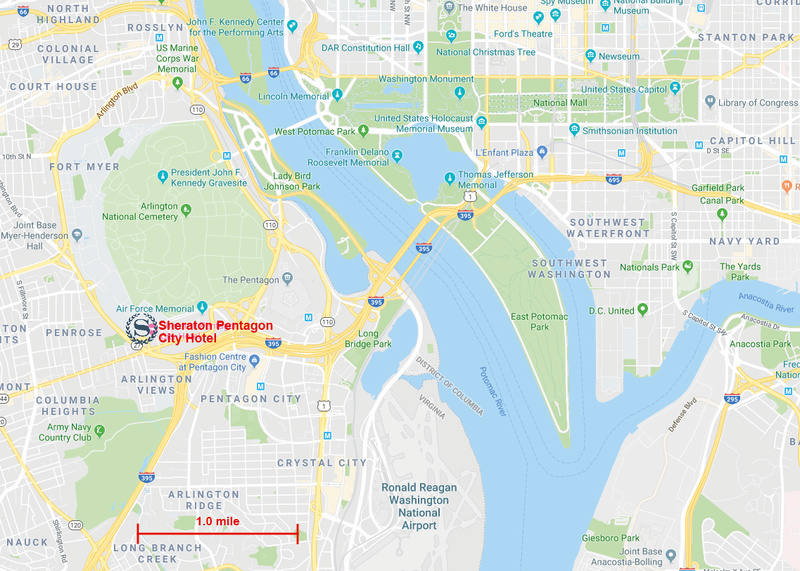 The hotel has a free shuttle to and from Reagan National Airport as well as the Metro subway system (Pentagon City stop), making it an ideal place to stay not just for the conference but for any additional sightseeing in the Washington area. Visit the conference hotel website for more information about the hotel and to book a room at the special conference rate of $175/night. Three airports serve the Washington metropolitan area. Ronald Reagan Washington National Airport is the closest to the hotel; a free shuttle is available from the airport to the hotel. Besides Reagan National, there is Washington Dulles International Airport in northern Virginia and Baltimore/Washington International (BWI) Airport in Maryland. Taxi and other transportation services are available from those airports to the hotel. For those traveling by train, Amtrak offers frequent service to Union Station in downtown Washington; from there travelers can take the Metro or a taxi to the hotel. Greyhound and other bus lines serve Washington from a terminal located a few blocks north of Union Station. Please see our Travel Page for additional information. Take advantage of special ISDC® 2019 rates by Clicking Here to make reservations at the Sheraton Pentagon City Hotel. The Pentagon City Metro Station is located in the Fashion Center at the Pentagon City Mall at 1250 South Hayes St, Arlington, VA. From the Pentagon City Metro Station the Yellow Metro Line takes about 35 minutes to the L’Enfant Plaza Metro Station which is only a few minute walk from the National Mall in Washington, D.C. The month of June is a nice time of year to explore the nation’s capital as the weather in June is mostly comfortable to warm. Early in June, morning low temperatures tend to be in the lower 60s ℉ (15-17℃) with a few of the cooler mornings dipping into the mid-50s ℉ (12-13℃). Afternoon highs early in the month tend to be near 80℉ (26-27℃).